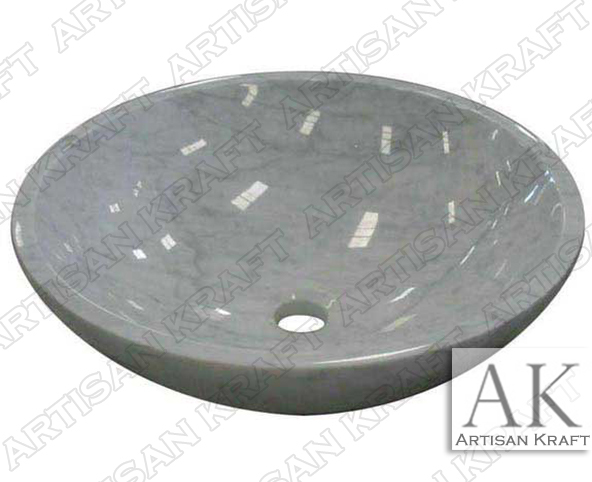 Carrara marble sink carved from carrar marble. A finely polished white marble with gray veins in a classic vanity sink design. Call today for a free quote. Take a look at our marble fireplaces and marble statues. View many more stone sink options. Marble sinks MN NJ NY MS Call today.